No matter how much you try to stop them, negative reviews still happen. And when they do, they can give you a real opportunity to turn a potential problem or an unhappy customer into one of your best online advocates. 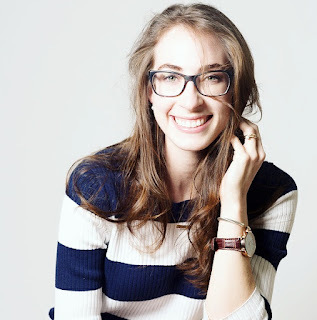 The online reputation of your business can convince potential customers to work & shop with you or have them running to your competitors, so having an AMAZING reputation is more than a good idea - it's necessary. 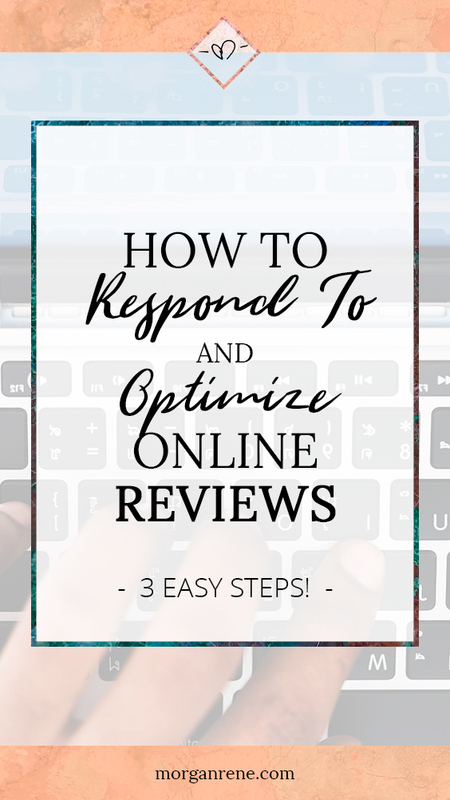 Are you already managing your online reputation by getting, monitoring, and responding to online reviews? Great! Then you already know that a negative review isn’t going to go away just because you ignore it. And unfortunately, those neglected negative business reviews are going to attract a lot more attention from potential customers. You want those bad reviews to be outliers in a string of 5-star rave reviews from thrilled clients and customers, not the only mind-changing thing a potential client might read. You don't want your customers describing their negative encounter all over the internet via social media. And you don't want to appear too defensive in your response (yes, even when you're right!). You want to respond to each and every review -- good and bad -- in a way that will leave your customers feeling heard and your business looking kind and professional. Tell them what they already know. This is for all those SEO optimizers out there. Use your company’s name, industry, and/or location in your response. This can help this positive review appear in search results. Show off a bit. 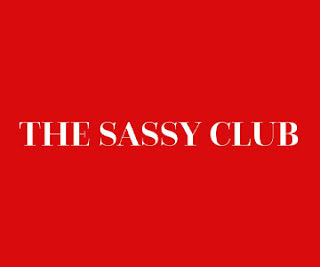 Mention an upcoming event, or a menu item you would recommend. Inspire future action or at least keep the friendly conversation going! Be sympathetic and acknowledge the reviewer’s concern. If you need to take responsibility, do it. Apologize for the bad experience, the malfunctioning product, the late delivery. Move the conversation offline. Provide a way for the unsatisfied reviewer to get in touch with someone personally via phone or email to learn more about the situation. Just to mix things up – here’s a DON’T. 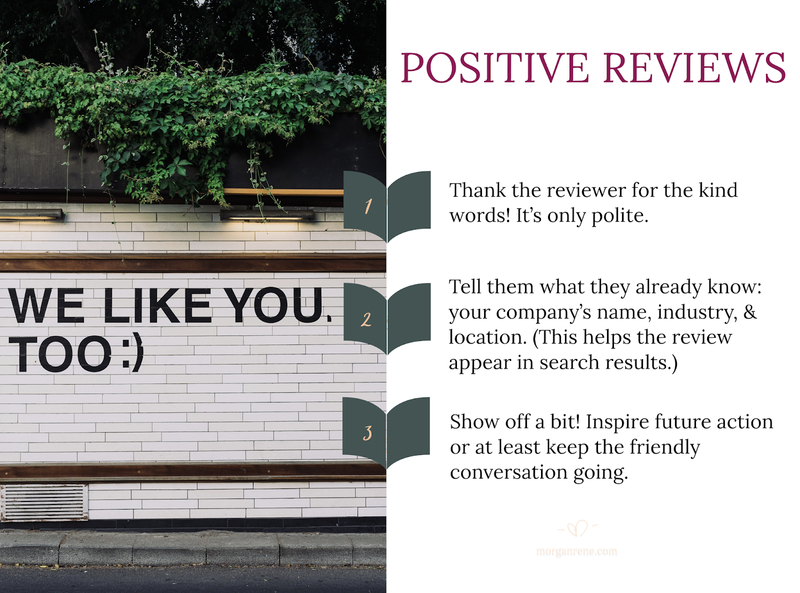 Don’t use your business name in the review, for the same reason we recommend doing so in response to a positive review. The above steps for handling online reviews are all about customer service and maintaining (or salvaging) relationships with your constituency. These steps are reactive. Your customers control these online dialogues and will have the upper hand. 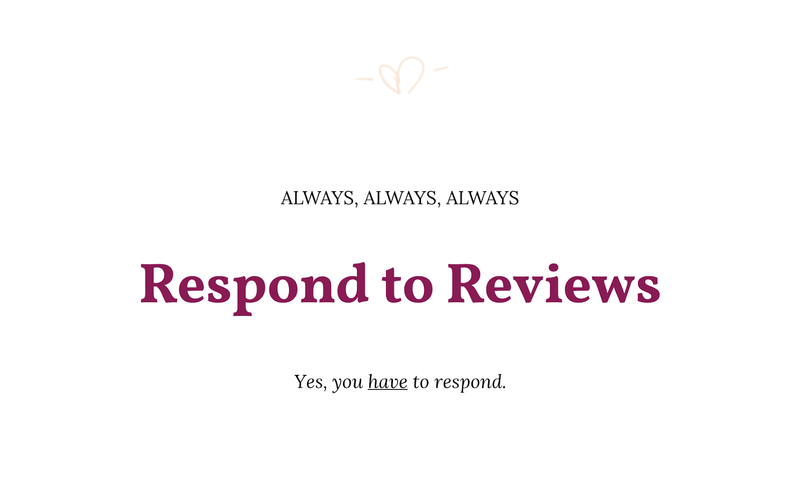 After addressing a negative review and resolving the issue (ideally offline), you can always ask the reviewer to update his or her negative review. Chances are, the review won’t be updated but hey, fingers crossed! 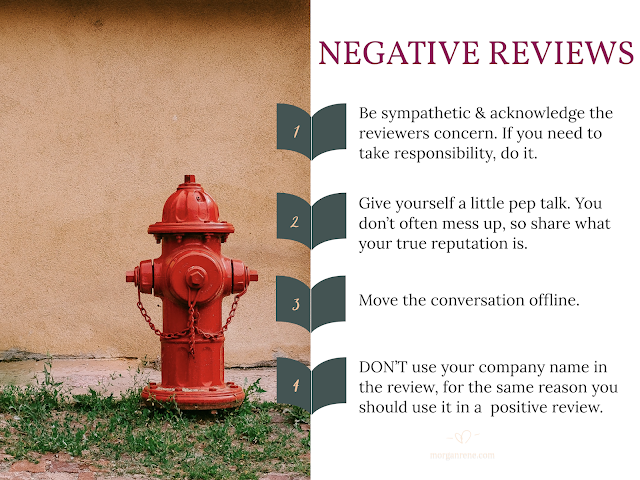 That’s why I recommend proactive positive review gathering that can bolster your online presence and reputation while burying those negative reviews. You can ask for positive reviews from happy customers, both in person and in emails (more on this later!). P.S. Could you do with an extra set of thumbs to respond to your comments and reviews - good and bad? I might be just what the doctor ordered! 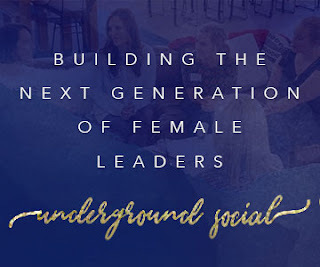 Leave me a message down below in the "I'd Love to Hear From You" section of the footer. Originally published for Genessee, LLC.